Serves Salmon Arm, Enderby, Armstrong, Sicamous, Sorrento and surrounding areas. Drs. Gary Cruikshank and John Sudbury founded the clinic in 1973. Over the years we have grown to 13 Veterinarians supported by a team of Registered Animal Health Technologists, our reception and office team, and kennel staff to care for your pets and livestock. In 2007 we opened a satellite clinic in Sorrento. To provide the exceptional veterinary care to our patients within the wishes and constraints of their owners. Our aim is to serve all our clients in a prompt, cordial and professional manner. We have been caring for pets and farm animals since 1973 at our Salmon Arm Clinic, 1050 – 4th Ave S.W. Call 250-832-6069 for an appointment. Shuswap Veterinary Clinic is a mixed animal facility offering advanced medical, surgical and dental care. We believe every pet is entitled to the best that veterinary medicine has to offer. As pet emergencies occur at any hour, we offer after-hour on- call service. 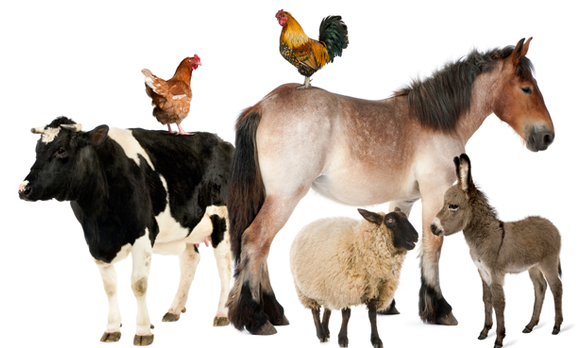 We have a dedicated farm desk and phone line (250-832-1114) to serve our large animal clients. We provide dairy herd health services, veterinary care for cattle and horses, and offer after-hour on call service for farm animals as well. We are located at #4 1257 Trans-Canada Highway, we are open four days a week, Tuesday through Friday for prescription pet food sales, flea and tick medicine, nail trims and weigh – ins. Two days a week we provide health examinations, vaccinations and wellness checkups. Our hours are Tuesday through Friday, 8am to 12pm and 1pm to 5pm. We have a veterinarian in clinic on Wednesdays and Fridays. Please call us at 250-675-0077 for an appointment.